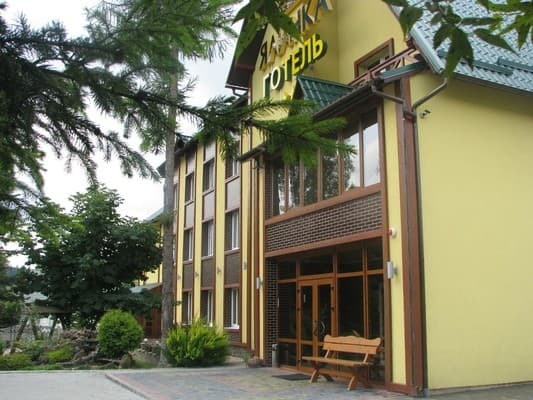 Hotel "Yalynka" is located in the village of Vyskov, near the Torun Pass. A modern three-storey hotel with 50 seats. On the ground floor there is a restaurant (3 banquet halls) and a conference hall, a two-storey SPA building (sauna, pool, billiard room, salt cave). 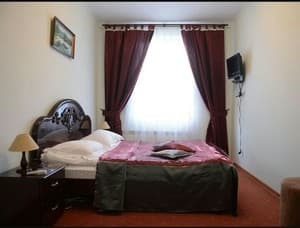 We offer accommodation in single and double rooms of the "luxury", "junior suite", "improved" and "standard" categories. 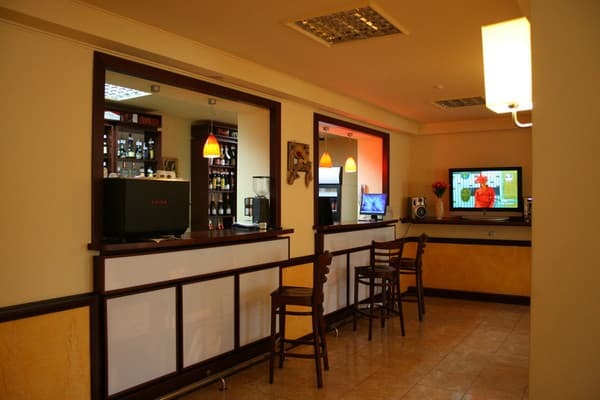 All rooms are equipped with modern and comfortable furniture. Description of the room: Double or 2 single beds, TV, telephone, wardrobe, bathroom (toilet, washbasin, shower, towels - 2 per person). Some rooms on the third floor are decorated with a tree. Description of the room: Double bed, TV, mini-bar, telephone, wardrobe, bathroom (toilet, washbasin, shower, hairdryer, towels - 3 per person). Extra bed - folding chair. Description of the room: The room consists of a bedroom (double bed, chest of drawers), living room (sofa bed, wardrobe, TV, mini-bar), bathroom (toilet, washbasin, shower, hairdryer, towels - 2 per person). 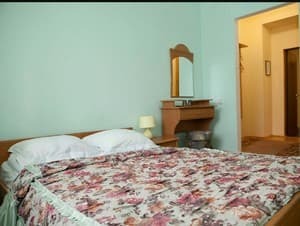 Description of the room: Two-room suite: bedroom (double bed), living room (TV, soft part, mini-bar, telephone, tableware, wardrobe), bathroom (toilet, washbasin, shower, hairdryer, towels - 3 per person). Some rooms on the third floor are decorated with wood. Children under 6 years stay free in their parents' room. 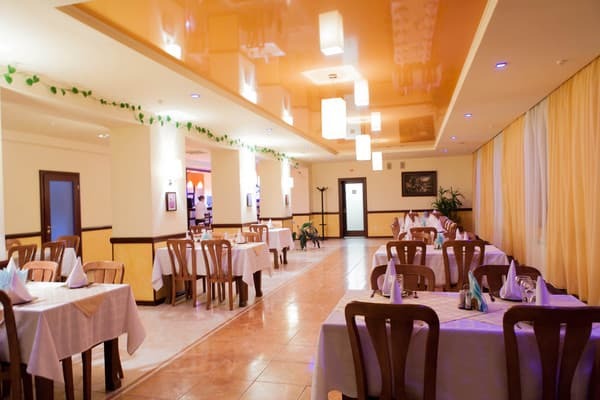 The cost of extra space depends on the season (specify when booking) - 125-200 UAH, for children from 12 180 UAH. 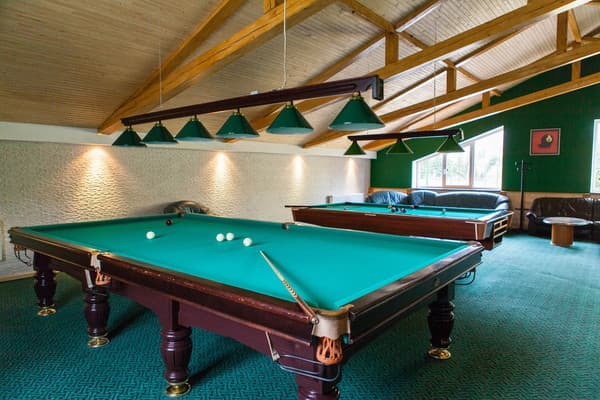 The cost of breakfast is 55 UAH, use of the pool (from 8:00 to 18:00), 1 session of the salt cave. On the ground floor there is a restaurant (3 banquet halls). Guests can order meals on the menu. 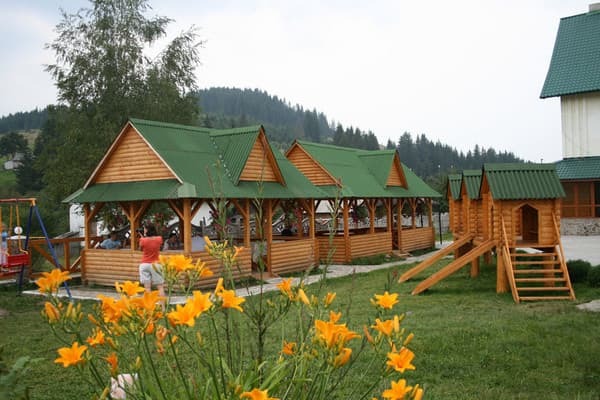 In the mountain village of Vyshkov on the border of Ivano-Frankivsk and Transcarpathian regions (next to the Torun Pass), 43 km from the district center of the city of Dolina. The nearest ski lift is 900 meters from the hotel (Zalom mountain). Salt cave, swimming pool and sauna. By public transport: by bus Lviv-Khust, Lviv-Tyachiv, Kiev-Khust, in with. Vyškov exit near the hotel's shield. By car: in the Valley at the ring turn on the sign to Mizhgirya, in the center of the village. There is a hotel on the right near the road.